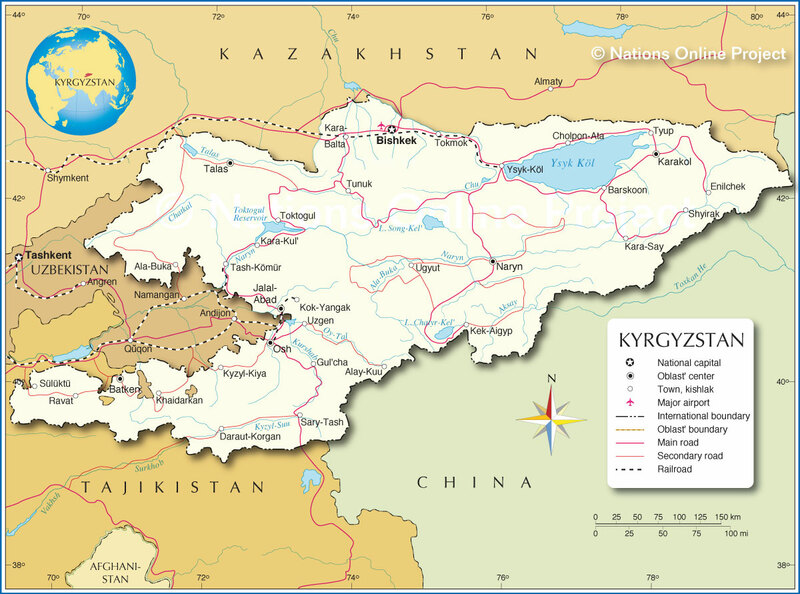 Kyrgyzstan is a small, landlocked and mountainous republic in the heart of Asia. Because of its remote location and tiny population (about 6 million) not much is reported about it. The country borders China on the east and three Central Asian Republics (CARs) on other three sides. It figures prominently in China’s One Belt One Road (OBOR) initiative. It is also the source country of the Central Asia- South Asia (CASA-1000) project that proposes to transmit electricity from Kyrgyzstan and Tajikistan to energy-starving Afghanistan and Pakistan. Kyrgyzstan has gone through a great degree of political upheaval in last 15 years. Recently conducted Presidential election in Kyrgyzstan is remarkable and worth studying, as it marks republic’s first peaceful transition from one elected leader to the other. In national election on 15 October, the people of Kyrgyzstan have elected former Prime Minister Sooronbai Jeenbekov as the new President. He was the candidate of the ruling Social Democratic Party of Kyrgyzstan (SDPK) and was a pick of outgoing President Almazbek Atambayev. Jeenbekov received 54 percent votes out of total 1.67 million votes cast (56 percent of the total electorate). His most prominent rival, Omurbek Babanov of the Respublika Party received 33 percent votes1. Kyrgyzstan, which became independent in 1991 as a result of the Soviet disintegration, has witnessed considerable political turmoil in recent years. The first Kyrgyz President Askar Akayev was overthrown in 2005 in what is called the “Tulip Revolution”, leading to Kumranbek Bakiyev becoming the new President. In 2010, the country witnessed devastating ethnic riots between Kyrgyz and the Uzbeks in the southern city of Osh. These riots led to political upheaval and ousting of Bakiyev who was facing corruption charges. Under the interim Presidency of Rosa Otunbayeva2, a new Constitution was adopted that declared Kyrgyzstan a Parliamentary Democracy, making it a standalone case in Central Asia. 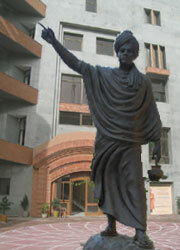 Some powers were transferred from President to the Parliament; and presidential tenure was restricted to only one term. The constitution was ratified in a National Referendum, and fresh elections were held in 2011, making Almazbek Atambayev the fourth President. In spite of adopting the parliamentary government, which technically makes Presidential post ceremonial, Presidential office still holds considerable power and influence vis-à-vis the Prime Minister. In December 2016, Kyrgyzstan again held a referendum to transfer some more powers from the President to the Prime Minister3. This process of reforming the political system and creating democratic institutions is still going on. Political volatility of the Republic seems to have inversely affected the economic development as well as foreign investments. Kyrgyzstan is one of the poorest post-Soviet republics that is heavily dependent on precious metals, agriculture, or remittances from workers working in Russia. The gold sector accounted for 25 percent of country’s industrial production, and 42 percent of its exports in 2015. In 2016, GDP received a blow due to falling gold production4. However, in 2017, with smooth conduct of elections, steady increase in gold production and recovery of remittances from Russia, the real GDP is estimated to grow at 5.5 percent, stabilizing the economy5. The new Constitution restricts the Kyrgyz President to a single term of six years and prohibits him from re-election. Accordingly, incumbent President Almazbek Atambayev became ineligible for contesting the next election. Unlike many other Central Asian leaders that have extended their terms through constitutional amendments, Atambayev gracefully decided to step down paving the way to President-elect to take over. In 2011, Atambayev took over the country that was full of chaos and confusion. It is to his credit that stability was successfully restored in Kyrgyzstan. Jeenbekov’s victory is in a way a ‘vote for stability’ maintained by Atambayev in last six years6. Smooth conduct of Presidential election reflects nation’s urge towards democratization and electoral polity. It was a truly competitive contest between 13 candidates from various regions and backgrounds. Most of the international observers have recognized the election as open and democratic. Highlight of these polls was the use of new technology and novel electoral method, where each voter was given a biometric identification7. 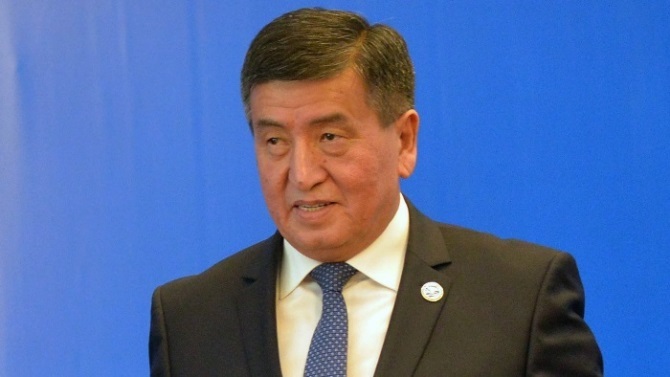 President-elect Jeenbekov has served the nation as the Prime Minister since April 2016. Before that, he had served as country’s Agriculture Minister and the Governor of his native region of Osh8. This long-standing experience of governance will help Jeenbekov in delivering as the President. He has announced that he will continue the policies of the incumbent President, including the reforms9. Jeenbekov comes from the Osh region, situated in Fergana Valley in southern Kyrgyzstan. In elections, he has received massive support from the southern regions. However, after coming to power, he has to tackle the differences between the south and the north. Mostly the northerners had supported opposition leader Babanov; and the north-south tension will linger for the time to come. Small and economically underdeveloped country like Kyrgyzstan cannot afford another political blow. Therefore, President has a challenge to maintain unity and stability. His other challenges include anti-corruption laws, and reforms in health, education and the judicial systems10. Threats of terrorism and violent extremism also have been surfacing inside the country, and to tackle these menaces is a huge task. During elections, Kyrgyzstan’s relations with neighboring Kazakhstan had soured, as President Atambayev accused the Kazakh President for interfering in the electoral process by meeting opposition candidate Babanov. Though the Kazakhs have dismissed these allegations, the incidence led to a degree of uneasiness. Kyrgyzstan went on to denounce the agreement on economic cooperation with Kazakhstan within the Eurasian Economic Union (EEU) 11. Relations between the two will take some time to normalize. Newly elected President of Kyrgyzstan has a larger role to play in this. Kyrgyzstan’s relations with its western neighbor Uzbekistan have witnessed upper trajectory in last one year. Credit for this goes to Atambayev as well as the newly-elected President of Uzbekistan Shavkat Mirziyoyev, who together resolved certain irritants in fields like border cross points, immigration, connectivity and trade. It now depends on Jeenbekov to take this positive relationship forward. China, with whom Kyrgyzstan shares long border, has made deep economic inroads based on investments, infrastructure and trade. It is vital in China’s connectivity projects in the west. China is currently constructing the China-Kyrgyzstan-Uzbekistan railway line, which will integrate the Kyrgyz Republic with the regional economies. Similarly, Kyrgyzstan hosts Russian military base at Kant, near capital Bishkek. It is also part of the Russia-led regional groupings, namely EEU and Collective Security Treaty Organization (CSTO). Therefore, it will be crucial to balance the influence of Russia and China, and still maintaining sovereignty of the small republic. Kyrgyzstan is heavily dependent on Russia for trade and remittances and gets affected by up-downs in the Russian economic situation. President Atambayev had maintained sound relations with Russia, especially because of his excellent personal rapport with Russian President Putin. President-elect Jeenbekov is also likely to continue that relationship. India and Kyrgyzstan have recently completed 25 years of establishment of diplomatic relationship. President Atambayev paid a state visit to New Delhi in December 2016, and Modi had visited Bishkek in July 2015. The two countries have developed cooperation in the areas of defense, security, elections, IT, human resource development, culture, agriculture and tourism. India has offered Kyrgyzstan training and cooperation in electoral and parliamentary matters. Indo-Kyrgyz joint military exercises called ‘Khanjar’ have become an annual event. On the other hand, Kyrgyzstan had supported India’s membership of the Shanghai Cooperation Organization (SCO) and also backs its bid for permanent membership of the UN Security Council12. India has to take the opportunity to establish close cooperation with the newly elected President of Kyrgyzstan. 3. “Referendum in Kyrgyzstan: 79% Voted for Constitutional Changes”, Trend News Agency, 11 December 2016, URL: https://en.trend.az/casia/kyrgyzstan/2696547.html. 4. Economic Intelligence Unit, Country Report on the Kyrgyz Republic, December 2016. 5. Economic Intelligence Unit, Country Report on the Kyrgyz Republic, October 2017, URL: http://country.eiu.com/kyrgyz-republic. 8. “New President of Kyrgyzstan Elected in the First Round”, News Headlines, Official Website of the Kyrgyzstan Embassy in India, 18 October 2017, URL: http://www.kgzembind.in/?p=1118. 11. Mustafayev, Ali, “Kyrgyzstan Denounces Agreement Concluded with Kazakhstan within EEU”, Trend News Agency, 20 October 2017, URL: https://en.trend.az/casia/kyrgyzstan/2810815.html.